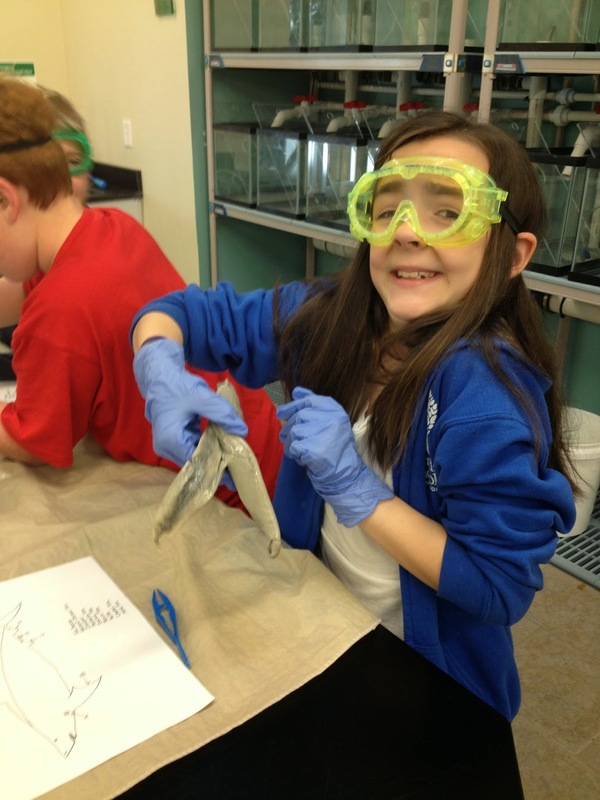 In 5th Grade with Teacher Julia: Dogfish Dissection! Making Connections between our Digestive System and Theirs! Dogfish Dissection! Making Connections between our Digestive System and Theirs! This week was an important week for my 5th graders. We took a 3 day/2 night trip to Bald Head Island, NC. There, we met up with one of my parents, Suzanne who is the director of the island's conservancy. She guided our class through amazing explorations. One in particular was directly related to what we are learning in the classroom: The Digestive System! Students were each given a Dogfish to dissect and learn from. 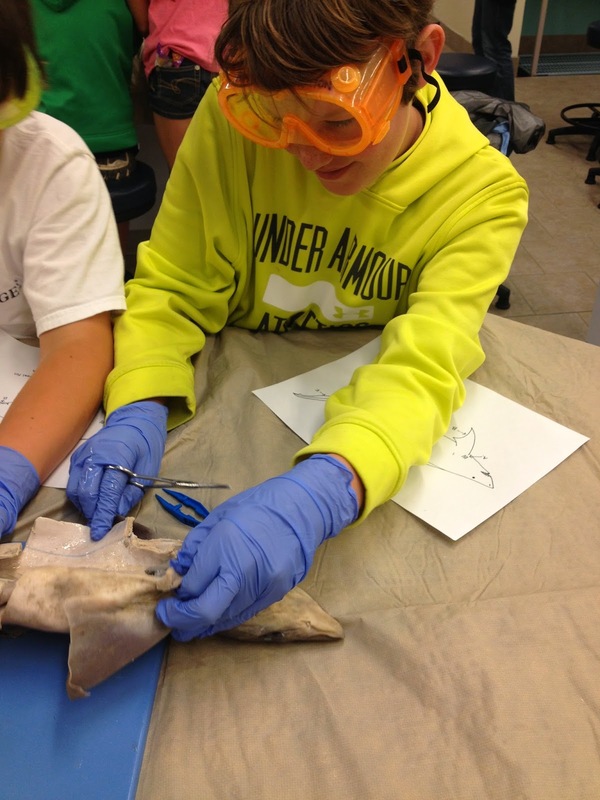 Suzanne showed the students exactly how to make incisions down the shark's torso in order to explore its insides. I was very impressed by my students' ability to do this! First, the students identified the stomach, esophagus, and then the liver! They made connections that the dogfish liver is very similar to our liver; it is the biggest organ in the dogfish and it helps produce fat (though ours produces cholesterol, they were able to see that strong connection.) One group even found the gall bladder! They were so excited when they found an organ that they had learned about. It was fantastic! 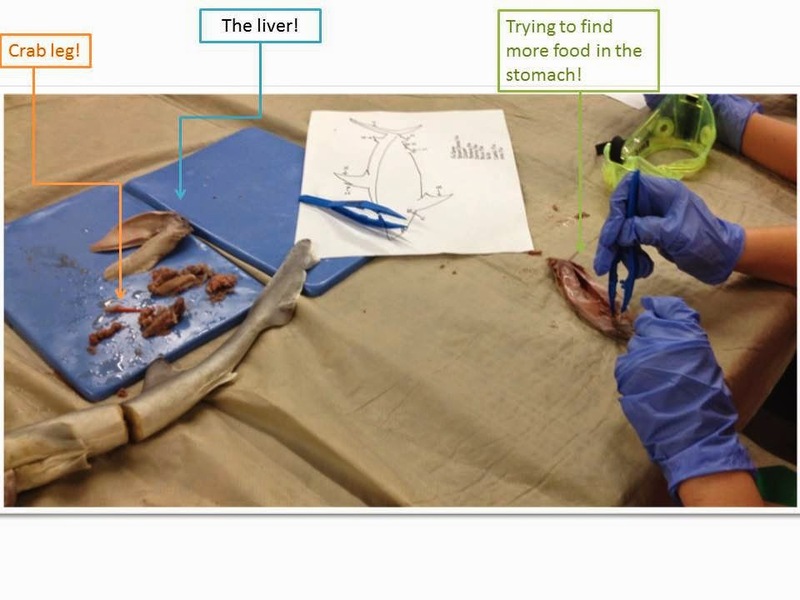 Next, students opened up the Dogfish stomach to see what it eats to survive. We learned it eats crab! One group found a just eaten crab leg! The Liver & The Pancreas Posters! Having Fun with Fractions - seriously! We Built the Digestive System!